Pandas have long been the face of conservation efforts by environmental activists, but a recent finding may boost even further the need for pandas to evade extinction. Researchers have discovered a powerful antibody in panda blood that could serve as the next frontier in the fight against increasingly prevalent superbugs. The compound is called cathelicin-AM. Discovered when researchers analyzed the creatures' DNA, it has been found to kill fungus and bacteria. It is believed that the antibiotic is released to protect the animal from infections in the wild and, in studies, it has been found to kill both standard and drug-resistant strains of microbes and fungi. The compound also worked extremely quickly, killing off strains of bacteria in just an hour, while conventional antibiotics needed six. "Gene-encoded antimicrobial peptides play an important role in innate immunity against noxious microorganisms," lead researcher Dr. Xiuwen Yen, from the Life Sciences College of Nanjing Agricultural University, in China said to the Telegraph. "They cause much less drug resistance of microbes than conventional antibiotics." Fortunately, scientists do not need to rely on pandas' famously low ability to breed in order to boost their numbers. Researchers have been able to create a synthetic version of the material in the laboratory, decoding the genes in order to create a small molecule known as a peptide. That is good news because there is believed to be only about 1,600 pandas in the world right now. 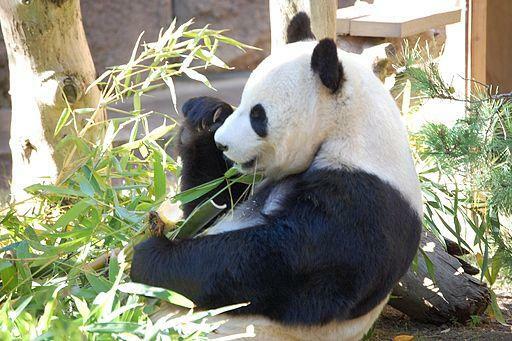 Pandas are notoriously bad at breeding, even in the wild, in part because females only are fertile once per year. Millions of dollars have been poured into artificial breeding techniques, to little avail. The limited success has caused many to wonder if the money could be better spent on other, potentially more successful conservation efforts. Researchers hope that their synthetic version can be deployed as an antibiotic or as a surface sanitizer. They believe that the panda genome may store other drugs as well. Pandas are not the only animals that may serve as a new antibiotic: antimicrobial properties have been found in snail mucus and amphibians as well.